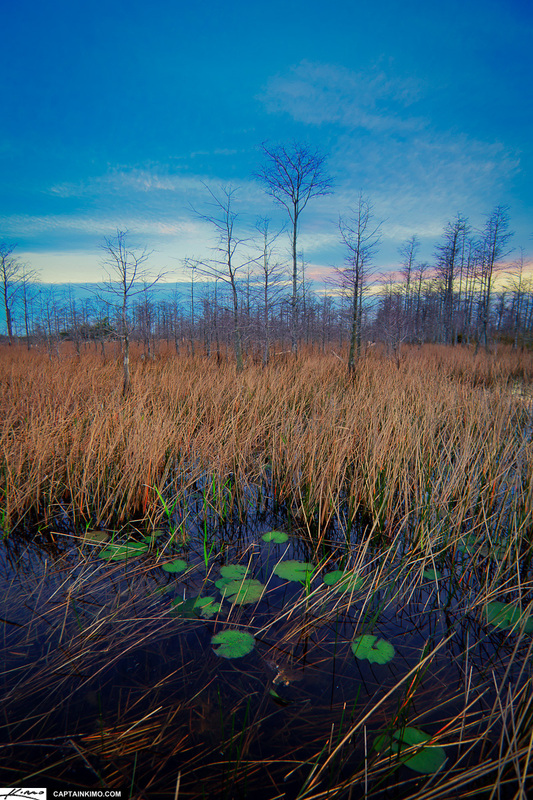 Here’s me trekking through the marsh at the Loxahatchee Slough looking for a good sunset. Unfortunately all the Cypress Trees are bald from the winter cold. But in a way the scene itself is very beautiful… just difficult to translate into a photograph.